Where Has the Biology Community Been Hiding this Gem? I still never cease to be amazed at how wonderful and powerful tools are so often and easily overlooked. The most recent example is Cytoscape, a winner in our recent review of more than 25 tools for large-scale RDF graph visualization. 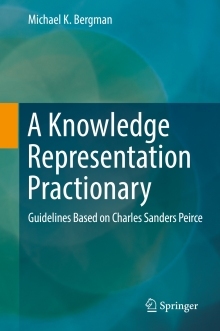 We began this review because the UMBEL subject concept “backbone” ontology will involve literally thousands of concepts. Graph visualization software suitable to very large graphs would aid UMBEL’s construction and refinement. Cytoscape describes itself as a bioinformatics software platform for visualizing molecular interaction networks and integrating these interactions with gene expression profiles and other state data. 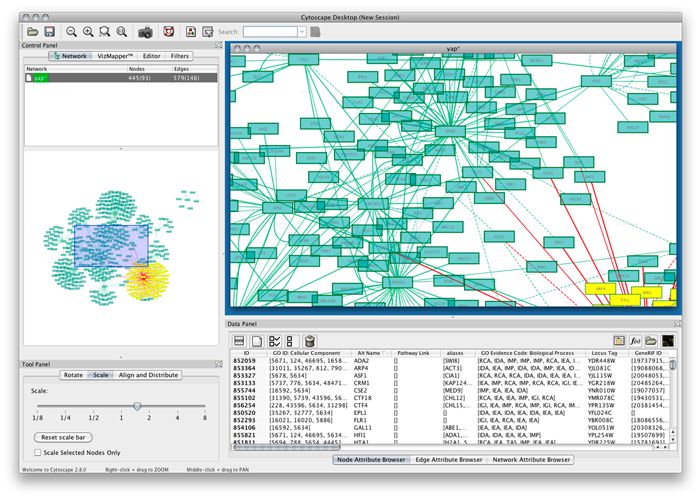 Cytoscape is partially based on GINY and Piccolo, among other open-source toolkits. What is more important to our immediate purposes, however, is that its design also lends itself well to general network and graph manipulation. Cytoscape was first brought to our attention by François Belleau of Bio2RDF.org. Thanks François, and also for the strong recommendation and tips. Special thanks are also due to Frédérick Giasson of Zitgist for his early testing and case examples. Thanks, Fred! Graph analysis – the ability to analyze edge (or relation) lengths, cyclic aspects, missing nodes, imbalances across the full graph, etc. Graph visualization – the ease of creating sub-graphs and to plot the graphs with a variety of layout options. Cytoscape met or exceeded our wish list in all areas save one: it does not support direct ingest of RDF (other than some pre-set BioPAX formats). However, that proved to be no obstacle because of the clean input format support of the tool. Simple parsing of triples into a CSV file is sufficient for input. Moreover, as described below, there are other cool attribute management functions that this clean file format supports as well. This Java tool has a fairly standard Eclipse-like interface and design. The main display window (A) shows the active portion of the current graph view. (Note that in this instance we are looking at a ‘Spring’ layout for the same Music sub-graph presented above.) Selections can easily be made in this main display (the red box) or by directly clicking on a node. The display itself represents a zoom (B) of the main UMBEL graph, which can also be easily panned (the blue box on B) or itself scaled (C). Those items that are selected in the main display window also appear as editable nodes or edges and attributes in the data editing view (D). The appearance of the graph is fully editable via the VizMapper (E). An interesting aspect here is that every relation type in the graph (its RDF properties, or predicates) can be visually displayed in a different manner. The graphs or sub-graphs themselves can be selected, but also most importantly, the display can respond to a very robust and flexible filtering framework (F). Filters can be easily imported and can apply to nodes, edges (relations), the full graph or other aspects (depending on plugin). A really neat feature is the ability to search the graph in various flexible ways (G), which alters the display view. Any field or attribute can be indexed for faster performance. Multiple plugins are available for areas such as subset selections, analysis, path analysis, etc. (see below). A Google discussion group at http://groups.google.com/group/cytoscape-discuss/topics. Unfortunately, other than these official resources, there appears to be a dearth of general community discussion and tips on the Web. Here’s hoping that situation soon changes! There is a broad suite of plugins available for Cytoscape, and directions to developers for developing new ones. sub-graph – is a flexible sub-graph creation, node identification, cycle finder, and path finder in directed and undirected graphs. It also has a function to select the p-neighborhood of a selected node or group of nodes which can be selected by pathway name, node type, or by a list in a file. This generates a set of plug-ins called: path and cycle finding, p-neighborhoods and sub-graph selection. Download from here. Importantly, please note there is a wealth of biology- and molecular-specific plugins also available that are not included in the generic listing above. Also, for very large graphs, avoid repeated use of certain layouts (Hierarchy, Orthogonal, etc.) that take very long times to re-draw. Cytoscape was first released in 2002 and has undergone steady development since. Most recently, the 2.x and especially 2.3 versions forward have seen a flurry of general developments that have greatly broadened the tool’s appeal and capabilities. It was perhaps only these more recent developments that have positioned Cytoscape for broader use. I suspect another reason that this tool has been overlooked by the general semWeb community is the fact that its sponsors have positioned it mostly in the biological space. 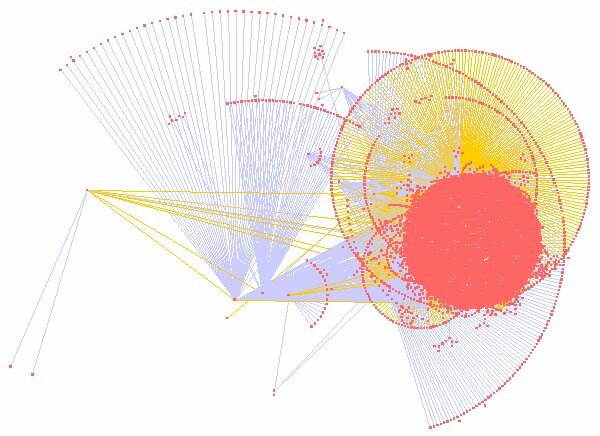 Their short descriptor for the project, for example, is: Cytoscape is an open source bioinformatics software platform for visualizing molecular interaction networks and integrating these interactions with gene expression profiles and other state data. That statement hardly makes it sound like a general tool! Another reason for the lack of attention, of course, is the common tendency for different disciplines not to share enough information. Indeed, one reason for my starting the Sweet Tools listing was hopefully as a means of overcoming artificial boundaries and assembling relevant semantic Web tools in one central place. 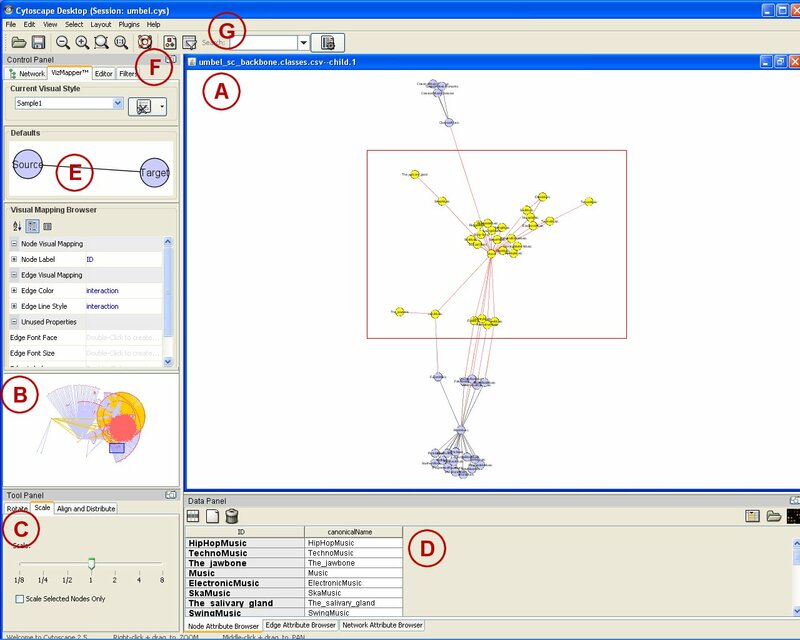 Yet despite the product’s name and its positioning by sponsors, Cytoscape is indeed a general graph visualization tool, and arguably the most powerful one reviewed from our earlier list. Cytoscape can easily accommodate any generalized graph structure, is scalable, provides all conceivable visualization and modeling options, and has a clean extension and plugin framework for adding specialized functionality. With just minor tweaks or new plugins, Cytoscape could directly read RDF and its various serializations, could support processing any arbitrary OWL or RDF-S ontology, and could support other specific semWeb-related tasks. 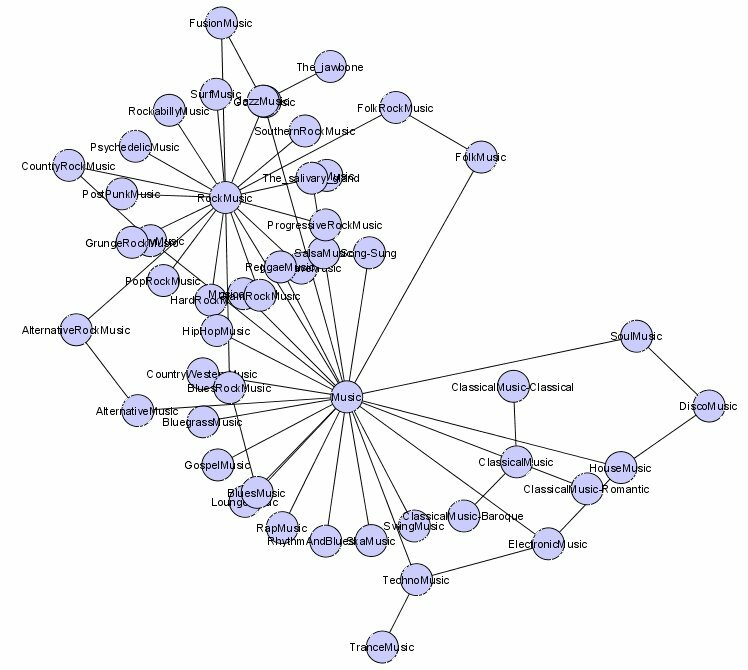 As well, a tool like CPath (http://www.pubmedcentral.nih.gov/articlerender.fcgi?artid=1660554), which enables querying of biological databases and then storing them in Cytoscape format, offers some tantalizing prospects for a general model for other Web query options. For these reasons, I gladly announce Cytoscape as the next deserving winner of the (highly coveted, but cheesy! ) AI3 Jewels & Doubloons award. Cytoscape’s sponsors — the U.S. National Institute of General Medical Sciences (NIGMS) of the National Institutes of Health (NIH), the U.S. National Science Foundation (NSF) and Unilever PLC — and its developers — the Institute for Systems Biology, the University of California – San Diego, the Memorial Sloan-Kettering Cancer Center, L’Institut Pasteur and Agilent Technologies — are to be heartily thanked for this excellent tool!